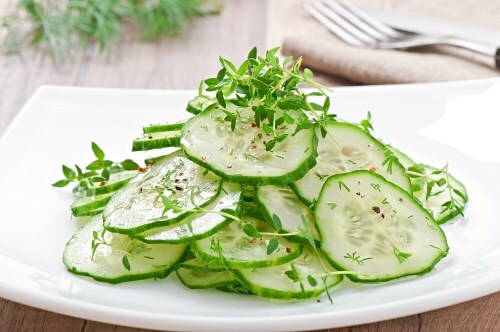 Whisk together the vinegar, parsley, dill, garlic, xylitol, and salt in a bowl; add the cucumber and stir to coat. Cover and chill in refrigerator 4 to 8 hours. Stir well before serving.